One Israel-based blogger, Laura Rosbrow, says that she cannot understand why people in Oklahoma do not have more publicly-funded shelters. In Israel, Rosbrow says, bomb shelters are located “within blocks of every residence”. Thank you Tara McElvey, whose career I respect enormously. And dear readers, now that I am back from vacation, expect more regular posts. Getting back into gear! Why doesn’t Moore, Oklahoma have any public tornado shelters? 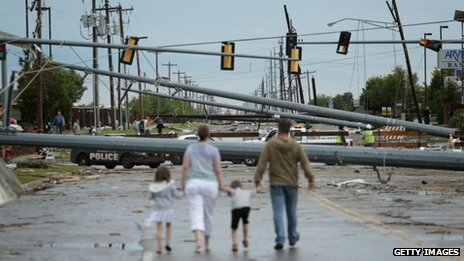 As I have been watching the destruction unfold on TV with my family (I am visiting California), I have been struck by the lack of tornado shelters in Moore, Oklahoma. The best shelter during a tornado is in a basement or underground facility. Yet according to an MSNBC reporter on All In With Chris Hayes, only around 1 in 10 homes have these facilities. Even more chilling, the City of Moore’s website says “The City of Moore has no community (or “public”) tornado shelters.” Why? On All in With Chris Hayes, the reporter (whose name I cannot remember) it is prohibitively expensive for most people to build tornado shelters. Additionally, there’s a form of rock underneath most Moore residents’ homes that is very tough to build through. No. If you’re concerned that you need a safe room, it is recommended that you build one. There is no guarantee that even if the rules are changed that we will be chosen for a grant; and if we are chosen, there is no guarantee that there will be enough funding to accommodate all residents who wish to participate. Your peace-ofmind will more than offset the cost of a shelter. But if the cost is too expensive for individuals, why aren’t there public shelters? The City of Moore gives several reasons: “people face less risk by taking shelter in a reasonably-well constructed residence!” It seems strange to give a fact that few can afford the enthusiasm of an exclamation point. 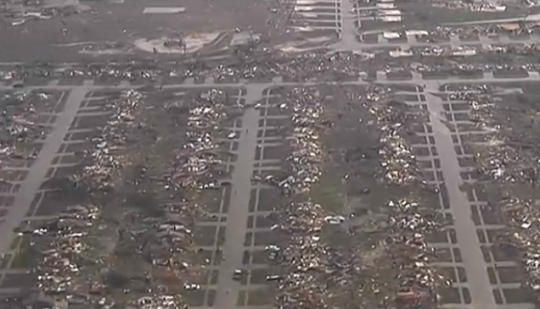 That aside, the City of Moore encourages residents to shelter in the closest home with a reasonable facility. This is because “the average tornado warning time is generally only 10-15 minutes,” so if a shelter is constructed underneath one’s home, it is faster to reach that destination than to drive to a nearby shelter. Although the city has “2,210 registered saferooms” from individuals (the population is 55,081), there is no public listing of these rooms. Regarding the possibility of public buildings with tornado shelters, the city’s website simply states “There is no public building in Moore which has a suitable location for a shelter.” Again, why? What would you use this large facility for the other 364 days of the year? The facility wouldn’t be financially feasible without other uses; but the other uses would have to accommodate unscheduled storms. Security. If the other “intended uses” require equipment or supplies, how do those items remain secure when people arrive for sheltering? Security necessary to properly maintain order for 55,000 people exceeds are current capabilities. Staffing. Sheltering thousands of persons also takes a lot of support staff, from ensuring someone has the keys and opens the doors, to custodial staff, to concessions, to maintenance. What about multiple smaller facilities? You still have many of the same issues, just spread over more locations, therefore requiring as many or more resources. This governmental response feels like the complete opposite of living in Israel. There are bomb shelters within blocks of every residence. 10-15 minutes feels like a luxury compared to the 15-90 seconds most Israelis get before a bomb drops. In Israel, you feel like the country is giving you peace of mind. Isn’t that the way it should be? In the aftermath of this horrible tragedy, let us prioritize funding governmental programs like FEMA over partisan politics. It is always worth the cost to save a life. 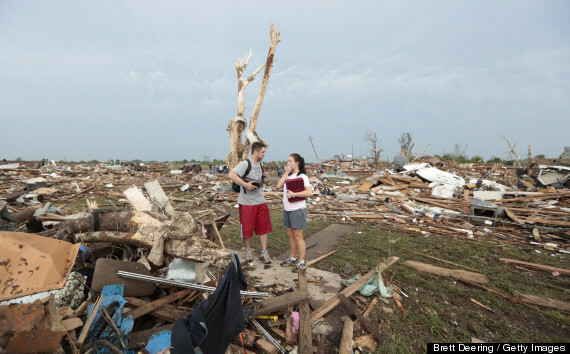 Why doesn't Moore, Oklahoma have any public tornado shelters?